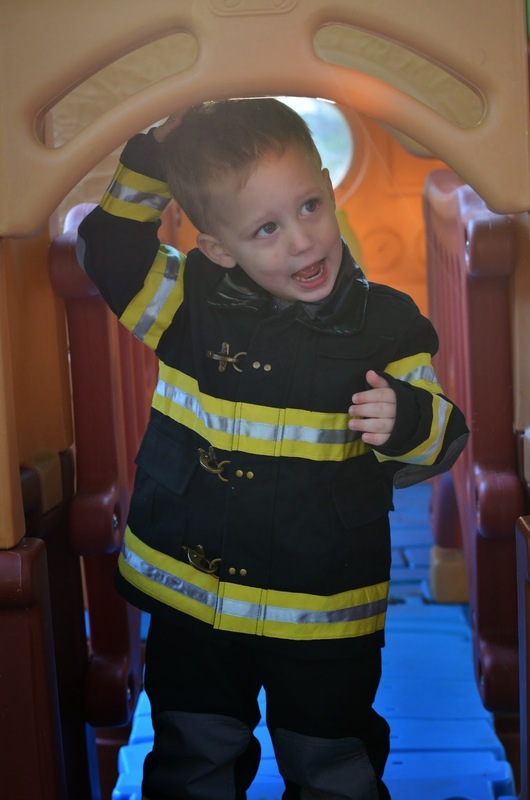 The Adventure Starts Here: Noah the Firefighter! 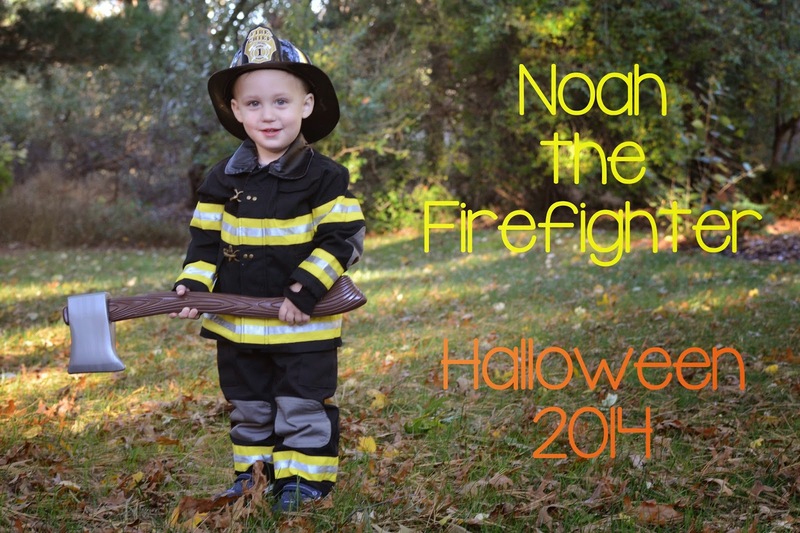 Noah is dressing up as a firefighter this year. I have a feeling this is the last year I will get away with choosing his costume for him ;) Last year Noah was the cutest pumpkin! 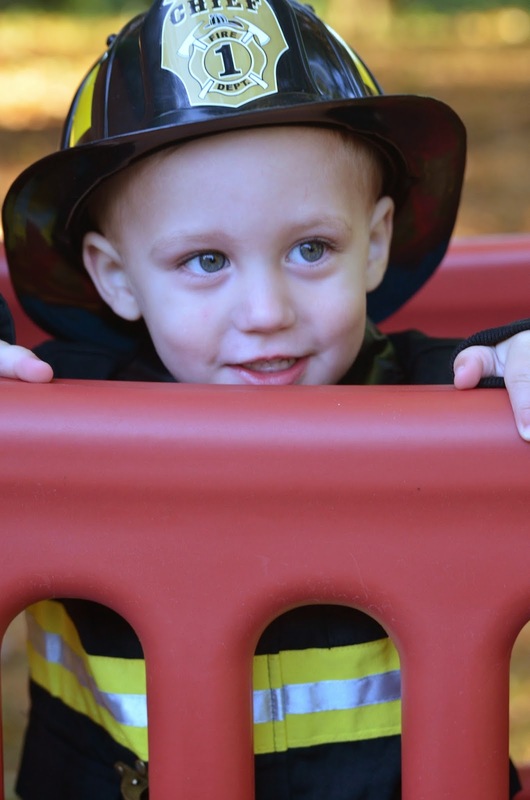 We have a few Halloween events to go to next week in addition to trick or treating. This will be the first year we go door to door and I expect we will only go to a few. 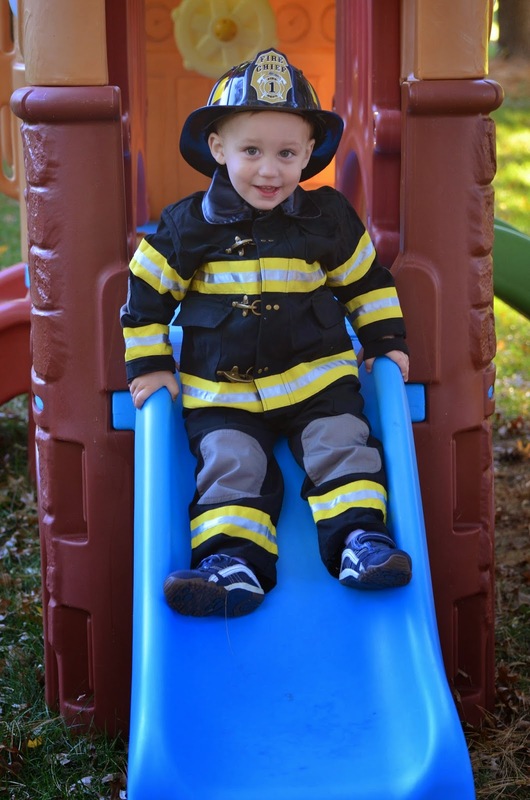 We decided to do a practice run over the weekend and Noah seems to really like the costume. It's warm and feels almost like a normal outfit, so it's easy to move around in. 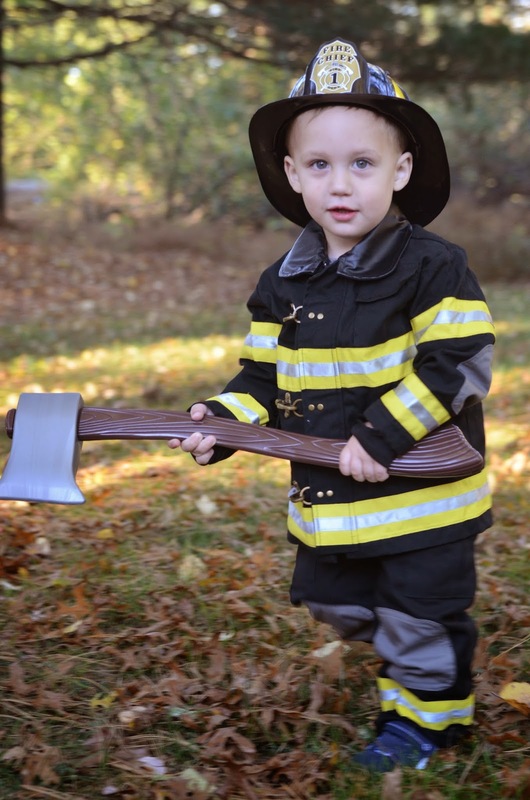 He also likes playing with the rubber axe :). We are now super excited for Halloween! 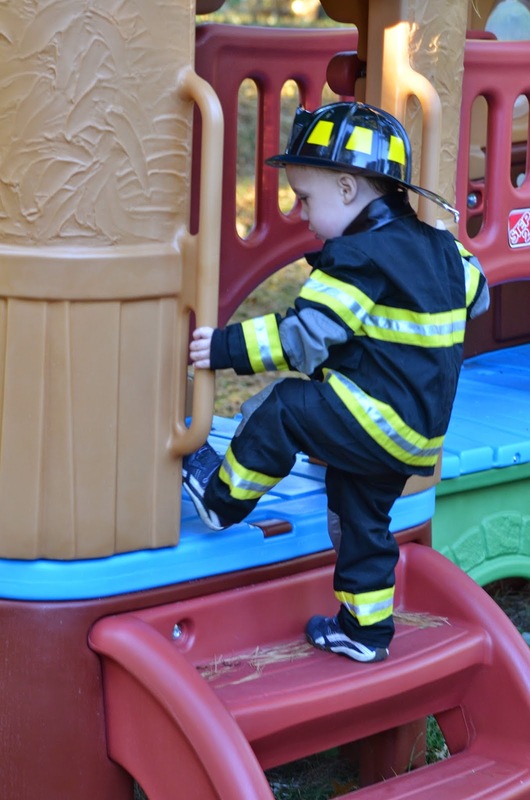 I smell smoke... Can you check out if everything is okay in your climber??? 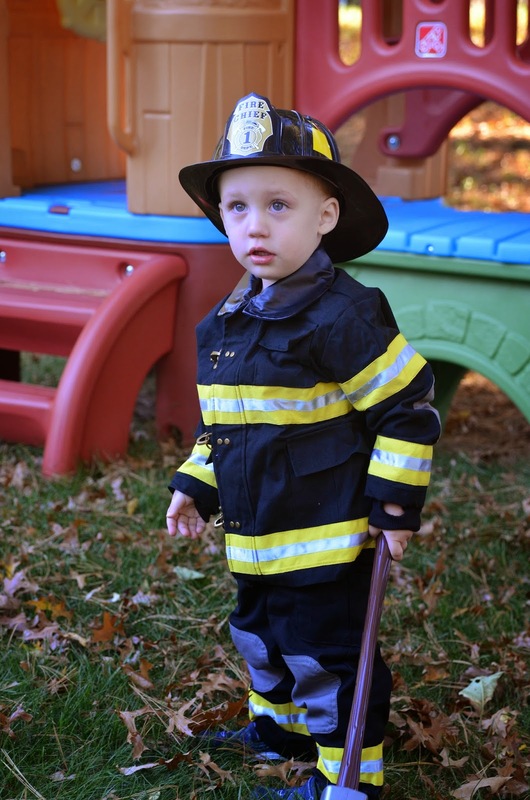 What is your kid dressing up as for Halloween this year? 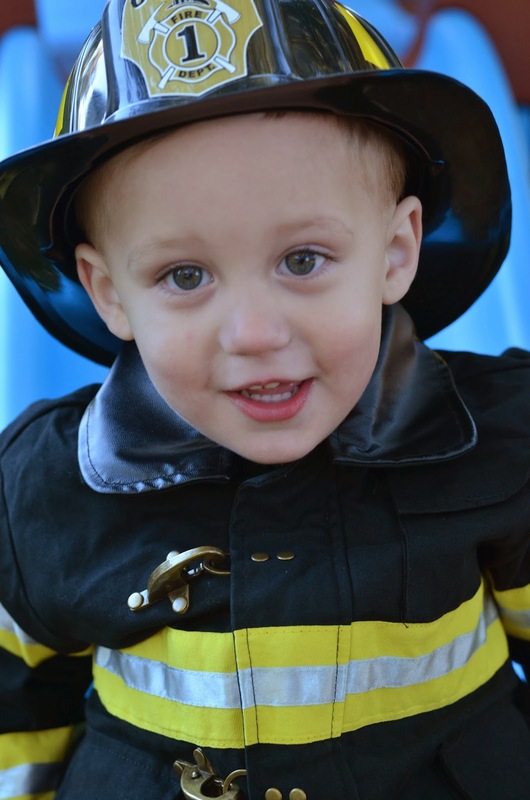 Oh my goodness... he is just the most adorable fireman! 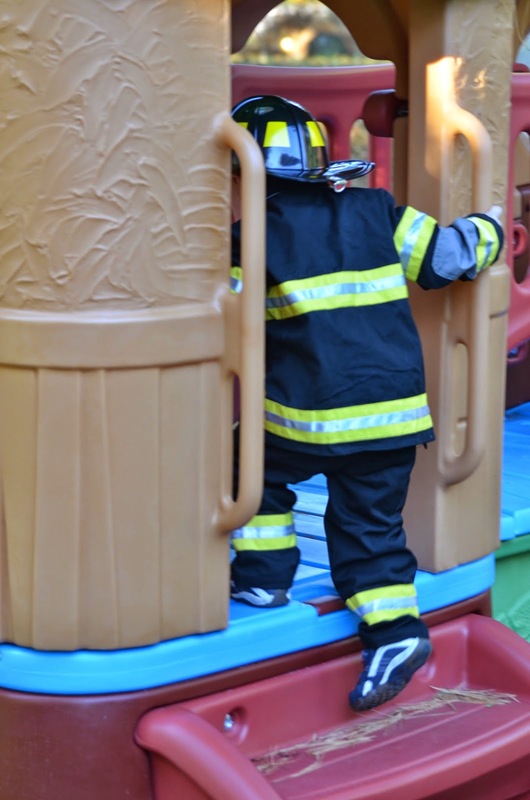 Love that he went to investigate and make sure everything was ok!